During recent decades, scores emerging from Leslie Bassett’s studio have brought him the Pulitzer Prize (1966), the Prix de Rome (1961-63), Guggenheim Fellowships (1973, 1980), a Fulbright Fellowship to Paris (1950-51), the Naumburg Recording Award (1974), awards from the Koussevitsky Music Foundation (1971, 1991), the National Endowment for the Arts, publications, recordings, and membership in the American Academy of Arts and Letters. There have been performances by the orchestras of Philadelphia, New York, Cleveland, Boston, Los Angeles, Chicago, Baltimore, Detroit, Florida, Indianapolis, Syracuse, Zurich, Rome, Oporto, Grand Rapids, Netherlands Radio, Seattle, Laval (Montreal), Toledo, and by regional orchestras, concert bands, professional ensembles, choruses, soloists, and civic and university ensembles. Mr. Bassett received the 1966 Pulitzer Prize in Music for his Variations for Orchestra, premiered in Rome in 1963 by the RAI Symphony Orchestra under Feruccio Scaglia, followed two years later by the Philadelphia Orchestra’s US premiere under Eugene Ormandy. Variations, which represented the U.S. at the 1966 International Rostrum for Composers in Paris, has been widely performed. A recording by the Zurich Radio Symphony Orchestra, conducted by Jonathan Sternberg for Composers Recordings (CRI 677), was hailed by Saturday Review as one of music’s finest classical releases. Leslie Bassett was the University of Michigan’s Albert A. Stanley Distinguished University Professor Emeritus of Music and was the 1984 Henry Russel Lecturer, the University’s highest faculty honor. He received the Distinguished Artist Award from the State of Michigan, was named Distinguished Alumnus by his California alma mater, Fresno State, and by the University of Michigan School of Music. He was awarded the major composer award and membership in the American Academy of Arts and Letters, and was composer-in-residence at the Rockefeller Foundation’s Bellagio Center. Boston held its “Leslie Bassett Week” in March, 1990. Born in Hanford, CA, (January 23, 1923), Bassett subsequently studied piano, trombone, cello and other instruments, then served as trombonist, composer and arranger with the 13th Armored Division Band in the US and Europe during World War II. Graduate study at Michigan with Ross Lee Finney was followed by work in Paris as a Fulbright fellow with Arthur Honegger at the Ecole Normale de Musique and with Nadia Boulanger at her home. He later studied with Mario Davidovsky in electronic music and with the Spanish-British composer Roberto Gerhard. The family lived in Rome, 1961-63, during the Rome Prize at the American Academy. For the U.S. Bicentennial, the Philadelphia Orchestra and Eugene Ormandy commissioned Echoes from an Invisible World as part of a major project initiated by America’s six finest orchestras and funded by the National Endowment for the Arts. Each orchestra commissioned a work and performed all six. Echoes has received over 60 performances to date, a recording by the Baltimore Symphony Orchestra under Sergiu Comissiona (CRI 677), and selection by the League of Composers and the International Society for Contemporary Music to represent the US at the World Music Days in Tel Aviv. The Koussevitsky Music Foundation in the Library of Congress commissioned Mr. Bassett’s Concerto for Orchestra, as well as the Sextet for Piano and Strings. The Concerto for Orchestra, jointly commissioned by the Detroit Symphony Orchestra, was premiered by Detroit in 1992 under Neeme Jarvi, with a second series of performances in October, 2003. The Concerto has been recorded by the Seattle Symhony Orchestra under Gerhard Schwarz (MMC 2090). The Sextet, premiered in the Library of Congress by the Juilliard Quartet with John Graham and William Masselos, received the Naumburg Recording Award for its recording by the Concord Quartet with Gil Kalish (CRI 677). In 1997 the Detroit Symphony premiered Thoughts That Sing, Breathe and Burn under Lan Shui’s direction (MMC 2090). 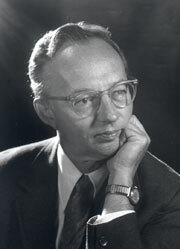 Mr. Bassett’s Concerto for Alto Saxophone and Orchestra, a commission from the Institute for American Music, received its premiere in Montreal in July, 2000, at the International Saxophone Congress by Clifford Leaman with the Orchestre Symphonique de Laval, conducted by Louis Lavigueur (Equlibrum Records). From a Source Evolving was commissioned by the National Endowment for the Arts for three Michigan orchestras. Concerto Lirico, (MMC 2090) for trombone and orchestra, was a commission by the Toledo Symphony. The Concerto for Two Pianos and Orchestra, another commission by the National Endowment for the Arts, received its premiere by the Midland Symphony Orchestra. Colloquy was written for the Fresno Philharmonic, while Forces (solo violin, cello, and piano with orchestra) was commissioned by Drake University. Sounds Remembered, a score for violin and piano (Eq 51) was a commission by the McKim Foundation in the Library of Congress; A Ring of Emeralds (SATB, piano) was commissioned by the Cork International Choral Festival of Ireland. Colors and Contours (KCD 11091) was written for the College Band Directors National Assn., and the Trio for Violin, Clarinet and Piano (Le 326) was commissioned by the Verdehr Trio. Some other commissions include the Brass Quintet (Troy 233) for the Chestnut Brass Co., the Duo Concertante (alto saxophone and piano, Eq 21) for the Concert Artists Guild of New York, Temperaments (solo guitar) for Michael Lorimer, Arias for clarinet and piano, (Troy 11) for the International Clarinet Association, and the Pierrot Songs for the Schoenberg Institute. Concerto Grosso (brass quintet with wind ensemble) received a prize from the John Philip Sousa Foundation; Five Pieces for String Quartet won the publication award from the Society for the Publication of American Music. The First String Quartet received the James Phelan Prize as well as another award from the Concours International pour Quatuors a Cordes (Liege). Wood and Reed Transformed, a work for solo bassoon with wind ensemble, was premiered in 1999 by the University of Michigan Wind Ensemble. Mr. Bassett was one of the founding members of the University of Michigan’s Electronic Music Studio. Most of his music is published by C. F. Peters Corporation, New York, with other editions available from Merion Music (Theodore Presser), Alphonse Leduc (Robert King Catalog), E. C. Schirmer (Highgate Press, Galaxy), World Library of Sacred Music, Autograph Editions, Brass Press, Alfred Publications, Mel Bay (Roseanne), Philharmusica, and several early scores at the American Composers Alliance. Recordings are with New World, Composers Recordings, MMC, Crystal, Albany, Opus One, Advance, Mark, Golden Crest, Fermat, Desto, Leonarda, ACA Digital Atlanta, Equilibrium, Summit, and Klavier. 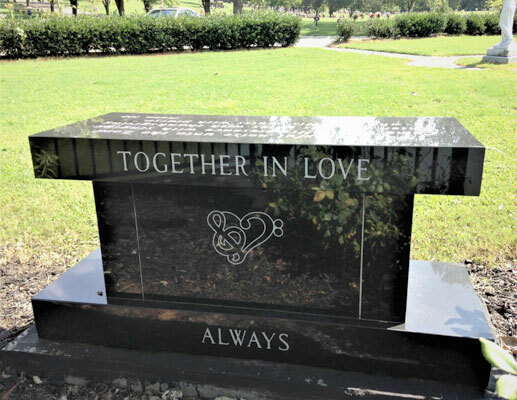 In May of 2005, Leslie and Anita Bassett moved to the Gainesville, Georgia area, closer to their daughter and son-in-law, Wendy and Richard Baker. Their son and daughter-in-law, Noel and Betsy Bassett visited from Orchard Park, New York. Their grandchildren, Laura Bratton Ammons and her husband Rick, and Kevin Lee Bratton and his wife Amy live nearby in South Carolina. Great-grandchildren, Madison and Gracen Ammons and Charlie Bratton added extra love and excitement during their remaining eleven years. Mr. Bassett’s music continues to be studied, admired and widely performed. His influence as composer and teacher, father, family man and friend was profound and will always be appreciated. 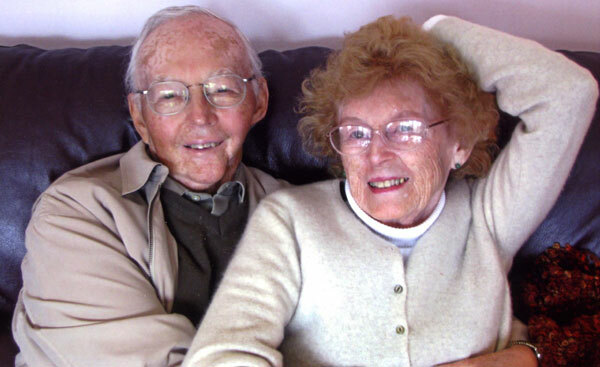 Anita Denniston Bassett, Mr. Bassett’s loving wife of 66 years, died February 26, only 22 days after his passing. 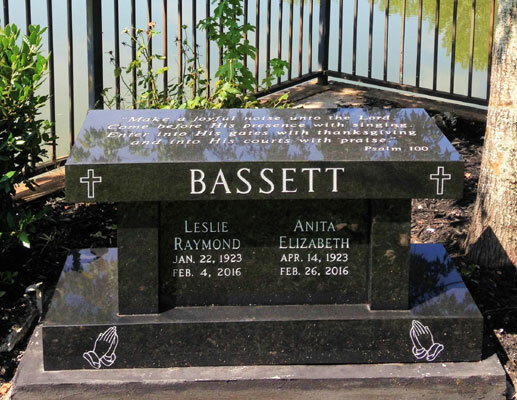 Mrs. Bassett was a very gifted and accomplished pianist, composer, artist, actor and writer in her own right, as well as a treasured wife, mother and friend.